Enjoy the miles of beaches on Longboat Key and end each day with the vibrant colors and soothing warmth of our spectacular sunsets. 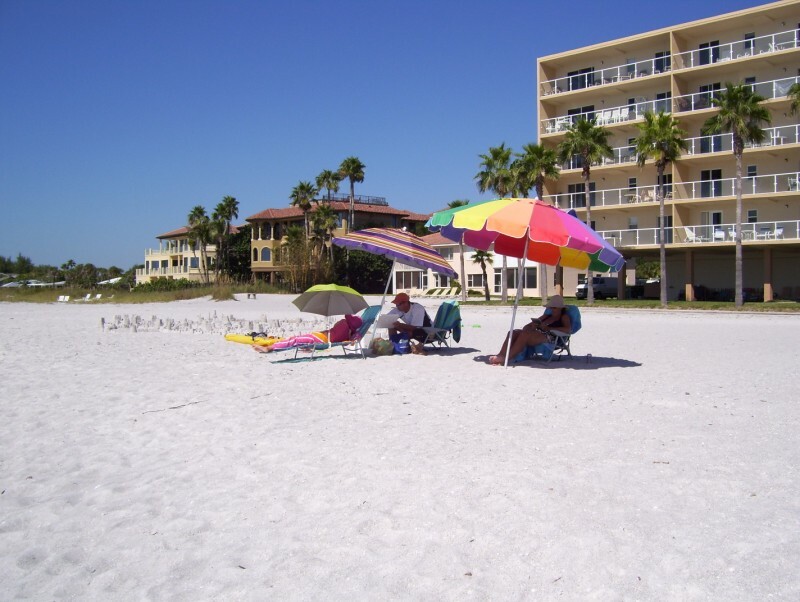 The Beachcomber is a well-maintained, six-story vacation condo building located right on the beach Mid-Longboat Key. Our friendly on-site managers will help ensure your vacation here is stress-free, and we take great pride in our high percentage of returning guests. The Longboat Beachcomber is situated across the street from a shopping plaza with a Publix Grocery Store, CVS Pharmacy, and a variety of smaller shops. If you need to take care of business you can use our building wide WI-FI internet access, or visit one of the banks across the street. While staying in our short term vacation rentals you will have easy access to public tennis courts and a marina. Several excellent restaurants are located nearby, and we have plenty off-street parking with afternoon shade to keep your car comfortable.